Beautiful 3 BR 2 bath Condo Vacation Rentals located in Windsor Palms Resort.- just a short distance from Disney. Windsor Palms is a gated community and features a community pool, jacuzzi, tennis courts, movie cinema, game room, internet cafe and lots more amenitiies. 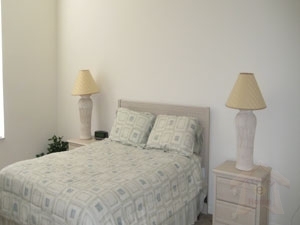 Book this 2 Bedrooms Golf Rentals with beautiful Accommodation which Sleeps 5-8 in Kissimmee Holiday Home in $95/Night* NOW!! !